A: Sometimes. 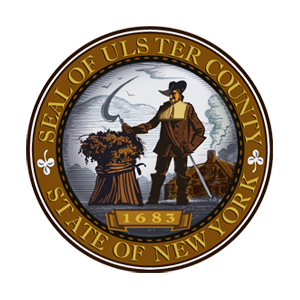 Most payments made to the Ulster County Finance Department are considered to be “on time” if the postmark is within the due date. There are certain times of the year and specific taxes that must be received by a certain date. Contact the Ulster County Department of Finance with specific questions. Q: What types of payments are accepted for taxes? A: The Ulster County Department of Finance accepts personal checks, official bank checks, certified checks, and money orders through the mail, as well as cash, Visa, MasterCard, Discover credit cards and debit cards if you are paying in person at the office. Please note however, that the person whose name is on the credit/debit card must be the person presenting the card. Also note, certain times of the year and for specific taxes, the Ulster County Department of Finance requires official bank checks, certified checks, money order or cash for payment. Q: Can I pay my taxes online or over the phone with a credit card? A: No. Payments are not accepted online nor can you pay with a credit card over the phone. Q: When and where do I pay my general taxes and school taxes? A: General taxes are paid to your town collector in January each year. A bill is sent to you on January 1st and is due by January 31st without penalty. As of February 1st interest is due at a rate of 1% per month. The towns collect until June 1st. After that date, your taxes are considered delinquent and you should contact the Ulster County Finance Department for the amount due. Central school district taxes, other than the City of Kingston school taxes, are due to your school district by the end of September. A bill is sent on September 1st and is due by September 30th without penalty. As of October 1st interest is due. Contact your school district for the final date you can pay. The Ulster County Finance Department will collect central school district taxes for a short time in November before the taxes are re-levied (added to your January tax bill). Call the Ulster County Finance Department for the final date you can pay and the amount due. Payments will be accepted in the form of official bank checks, certified checks, money orders, cash and credit cards only. No personal checks, business checks, escrow checks or debit cards will be accepted for central school taxes paid to the County during this time period. The payment must be received at the Finance Department by 5pm on the final payment date. A postmark is not accepted for the final payment date for central school district taxes. Kingston City school taxes are paid to the school district on October 15th and December 15th each year. After December 15th, the Ulster County Finance Department collects the school taxes. Please call the Ulster County Finance Department for the amount due. Q: How do I submit a FOIL request?